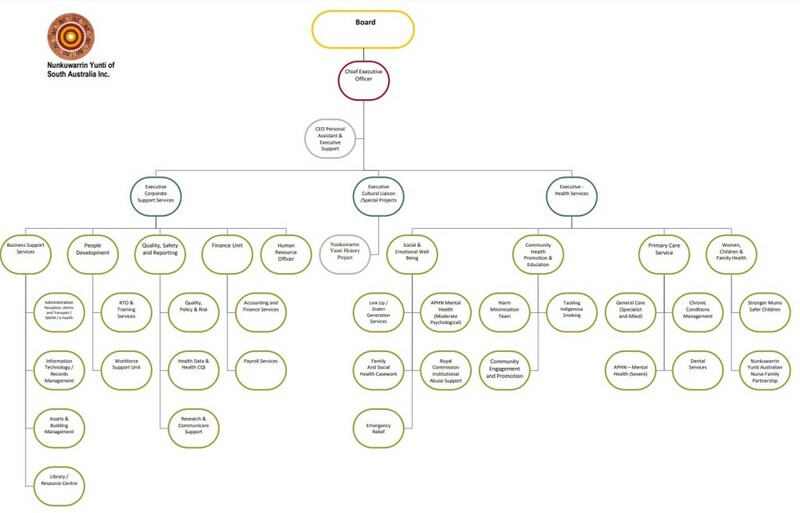 Below is an image of Nunkuwarrin Yunti of South Australia organisational structure. To download a copy of this, please click on the image. Below is an image of Nunkuwarrin Yunti of South Australia organisational structure. To download a copy of this, please click here or click on the image below.